India vs Australia 4th Test Sydney: As surreal as it may sound, but it was three Pakistani bowlers who helped Virat Kohli and Co prepare better for the fourth and final Test at Sydney. India vs Australia 4th Test Sydney: As surreal as it may sound, but it was three Pakistani bowlers who helped Virat Kohli and Co prepare better for the fourth and final Test at Sydney. 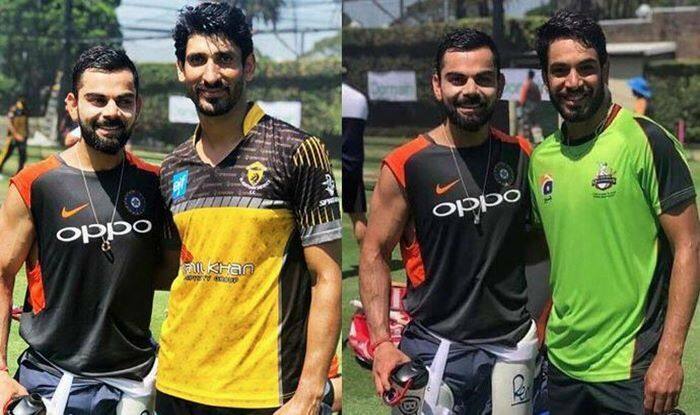 The three Pakistani cricketers, namely Salman Irshad, Haris Rauf, and Abbas Baloch gave Kohli’s men the much needed net practice before the Test. Also, Sanjay Bangar’s Indian-Australian friend Sanjiv Dubey who worked behind the scenes in preparing the visitors. “I didn’t have anything to do directly with the team but this was outside support which I could help the team”, Dubey, who runs a professional cricket academy in Sydney, said Dubey according to Kashmir Times. “Professional teams prepare as close to what is expected on the match day, and Harris and Salman who bowl consistently above 145kms per hour was something Virat and co. would have appreciated”, he added. Haris Rauf and Salman Irshad are regulars at the Pakistan Super League and would be representing Lahore Qalandars team in PSL this season. India went on to post a mammoth 622/7 in the final Test at SCG, where Cheteshwar Pujara, Rishabh Pant’s daddy centuries starred along with cameos from Mayank Agarwal and Ravindra Jadeja. Pujara slammed his third of the series, he scored 193, whereas Rishabh Pant hit an unbeaten 159*. While Pujara was unfortunate to miss out on his fourth double ton, Pant got to his career-best score.